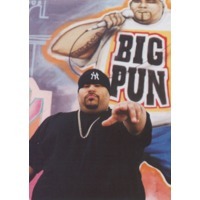 Christopher Rios (November 10, 1971 – February 7, 2000), better known by his stage name Big Pun (short for Big Punisher), was a Puerto Rican rapper who emerged from the underground rap scene in The Bronx in the late 1990s. He first appeared on albums from The Beatnuts, on the track "Off the Books" in 1997, and on Fat Joe's second album Jealous One's Envy in 1995, on the track "Watch Out", prior to signing to Loud Records as a solo artist. Big Pun's career was cut short in 2000 at age 28 when he died of a heart attack.